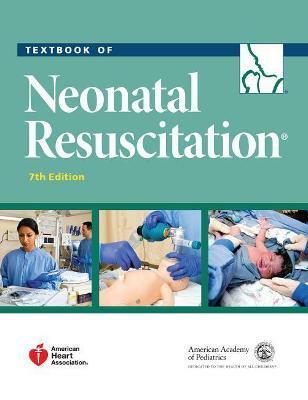 Significantly revised and updated, the new seventh edition reflects the 2015 AAP/AHA Guidelines for Cardiopulmonary Resuscitation and Emergency Cardiovascular Care of the Neonate. Two new chapters have been added, covering post-resuscitation care and preparing for resuscitation.evised American Academy of Pediatrics/American Heart Association guidelines for neonatal resuscitation and the emergency cardiovascular care. With 140 new colour photographs replacing most of the line drawings in the previous edition, this powerful resource for interactive, simulation-based teaching and learning is better than ever. Gary M. Weiner, MD, FAAP, is a practicing pediatrician specializing in neonatal-perinatal medicine at University of Michigan Hospital and is affiliated with St. Mary Mercy Livonia Hospital and University of Michigan Health System. Jeanette Zaichkin, RN, MN, NNP-BC has been nenontal nurse for more than 30 years. She graduated from Public Luthran University in Tacoma, WA, USA and received her master's degree from the University of Washington, USA.